One must be careful in choosing books dealing with this controversial subject, since there are many books that have been polluted with conclusions for the reader rather than facts. Some books that are popular about this subject, have been made popular by nationalists buying books that support their thesis. The reason a vast majority of books on the Armenian Genocide have been written by Armenians is because for Armenians recognition of the Armenian Genocide is a national objective. Our team does not advise anyone to pick one side or the other, but to pick books based on the value of their research, read excerpts of them before buying, make sure they don't provide conclusions. Be aware of books with titles like "Armenian Genocide is True" or "Armenian Genocide is a Lie" these are books by nationalists or non-researchers. The label Armenian Genocide being used in a book means a conclusion has already been made for you. Some Turks and Armenians that have written books are survivors of massacres committed by the other side; however, since they are not historians or scholars, their work can only prove killings and massacres, but not genocide. Below, our team has gathered a list of verified historians and scholars who do not have subjective opinions on the history of the Ottoman Empire. Most of the books displayed here do not make conclusions about whether the deaths of Armenians can be classified as an Armenian Genocide or not. One of the best and most neutral books on the subject written by a Holocaust survivor (left Germany in 1939). This book is our featured spotlight book because of the extensive focus on the arguments of the issue. Other books by Ottoman Historians are more detailed and extensive dealing with the history surrounding the events. This book discusses the arguments and the historical context of the Armenian Genocide dispute. The book's neutral investigation writing style has earned it world fame. Right-click -> Save As -> to save to your computer, otherwise just click to view the book in PDF format. Some of these books have run out of print. 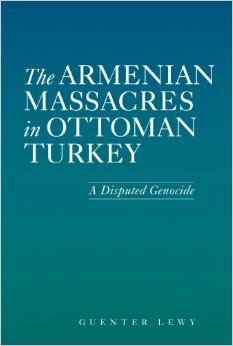 The following are free e-books dealing with the Armenian massacres and revolution in the Ottoman Empire. 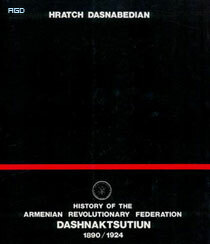 History of the Armenian Revolutionary Federation: Dashnaktsutiun - From 1890 to 1924, this book details the extent to which the Armenian Revolution was planned by the Armenian Revolutionary Federation, based on the new concept of nationalism and the awakening of the Armenian National Movement. 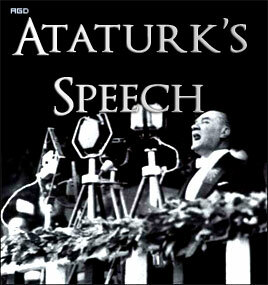 Mustafa Kemal Ataturk's Speech - This book details Ataturk's speech in October 1927. It's relation to the Armenian Genocide Debate is the speech has a portion on Ottoman-Armenian history. Memories of a Turkish Statesman 1913-1919 by Djemal Pasha - This memoir by one of the Committee of Union and Progress regime's leaders presents a very unique perspective on the history of the time and the state of the Ottoman government. 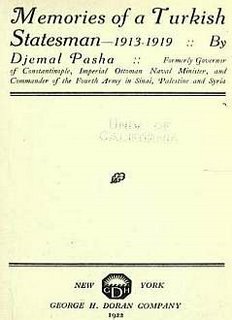 In the book Djemal Pasha describes the Armenian people "We Young Turks unquestionably prefer the Armenians, and particularly the Armenian revolutionaries, to the Greeks and Bulgarians. They are a finer and braver race than the two other nations, open and candid, constant in their friendships, constant in their hatreds. We are absolutely convinced that the policy of Russia was alone responsible for the enmity between Turkish and Armenian elements."